bear all or part of the weight of; hold up. Please note that we are here to listen and offer help. If counselling or professional help is needed we can help put you in touch with the relevant people. All correspondence and private details will remain strictly private and confidential. There are many dictionary definitions of the word support: ‘supportive person’, ‘give active help and encouragement’, ‘reinforcement to hold things in place’. All of these apply to us, to Liberate. Sad though it may be, because of some people’s attitude to, and lack of knowledge about the LGBTQ community, those with questions about their sexuality and those who still haven’t shared their orientation, their parents, family and friends, often need the support of someone who has been there. We at Liberate hope to provide this support, privately and publicly, to all who feel they need it. We want to create a place of openness and honesty where anyone from the LGBTQ, or wider community, can ask about LGBTQ issues. You can ask us anything, we’ll try and answer as honestly as possible. We hope it will help break down some barriers, dispel some myths and help some people – all we ask in return is that you are respectful. Aaron, Gemma, Martin & Pippa are our Support Volunteers and would be pleased to help you. If you’d like to address any of us at Liberate HQ directly please ask for your question to be passed on to the relevant member of Liberate. 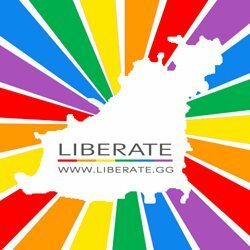 It’s Liberate’s 2nd birthday today!